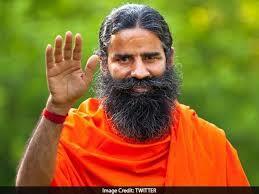 Prayagraj: Yoga Guru Ramdev vented anger over the Centre for not conferring Bharat Ratna to ascetics in the country. “Contribution by Maharishi Dayananda or Swami Vivekananda are no less than a national leader. Till now why any Sanyasi has not got Bharat Ratna? They have given Mother Teresa this award as she was a Christian, but they will not give to other seers as they are Hindus,” he added. This year, former present Pranab Mukherjee, late legendary singer Bhupen Hazarika, and late social activist Nanaji Deshmukh were the recipients of the coveted honour. A number of politicos in Karnataka, including former chief minister Siddaramaiah and deputy chief minister G Parameshwara, had raised a demand for late Siddaganga Mutt seer Shivakumara Swami to be granted a Bharat Ratna. Shivakumara Swami died at the age of 111 last Monday. He was being treated for a lung infection which he developed after an operation on December 8. The Bharat Ratna is the highest civilian award accorded in India.